LOT Polish Airlines faces a dramatic phase of restructuring. In order to saleable, the airline company will downsize radically. In order to prevent a bankruptcy, the financially stricken airline has to downsize radically, Prime Minister Tusk says. “This is one of the happiest days of my life.” Poland´s Prime Minister Donald Tusk said. Although the EU budget was cut, Poland will receive more EU-funds than in the current period. 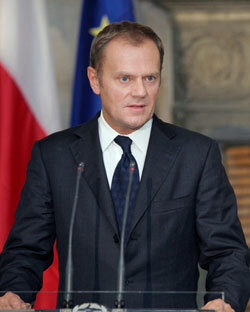 Poland´s Prime Minister Donald Tusk explained that the Polish economy will recover in the second quarter of 2013. Poland´s President Bronislaw Komorowski said that the country should decide whether to introduce the euro in 2015. Poland´s Prime Minister Donald Tusk announced that the government aims to create more than 400,000 jobs this year. Poland´s Prime Minister Donald Tusk said that there is no need to change the economic assumptions at the moment. After the resignation of Waldemar Pawlak, the Polish government will not collapse, observers say. PSL´s new party leader Janusz Piechocinski is expected to succeed Pawlak. Poland´s Prime Minister Tusk announced that the government will improve its social policy. In the next 40 years, the Polish population might decrease by 6 million. Last year, the U.S. was the biggest investor in Poland. Regarding the EU budget, Prime Minister Tusk emphasizes that cohesion funds must not be cut. The Polish Minister of Economics Waldemar Pawlak resigns. 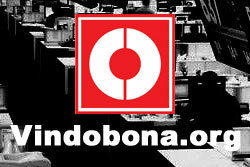 His re-election as leader of the Agrarian Party has failed. Poland will still be the biggest net contributor. According to Poland´s Prime Minister Donald Tusk, the negotiations prove highly difficult. The Polish Prime Minister does not exclude to enter the banking union. However, this measure must not weaken Poland´s position. The Polish Minister of Finance Jacek Rostowski explained that the Polish economy will grow by 2.5% this year.